The Mon-Key Shanti Theatre Festival by 3 Bells Productions truly came as something that provided me with a lot of man ki shanti. Spread over two days, it showcased 5 of the top plays of the country. I am glad that I managed to see at least 4 out of those 5. Day 2 on MSTF16 showcased ‘Uproute’(which I missed), ‘Dance Like a Man’ and ‘Massage’. I cannot describe my experience of both these plays in one post and hence I am dedicating this post to ‘Dance Like a Man’ and would cover ‘Massage’ in the next post. I am doing so because both these plays were very different from each other and yet similar, as they had a strong message to give out. 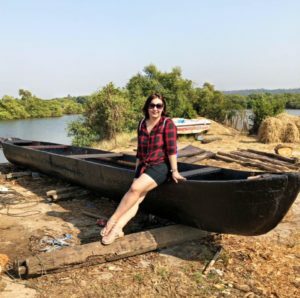 They rendered me speechless and now that I have found my words, here is a gist of what I saw and what I felt. We often assume that men aren’t the victims of gender discrimination, it’s only the women who suffer, but it’s not true. Men also go through the agony of proving themselves on the yardstick of masculinity. Mahesh Datani’s ‘Dance Like A Man’ portrays just that. Mahesh Datani in ‘Dance Like a Man’ has very beautifully shown the Indian culture and the social issues that have been in the society since inception. The theme of the play revolves around ambition, career, relationships, family responsibilities and society, all against the backdrop of dance as an art form. 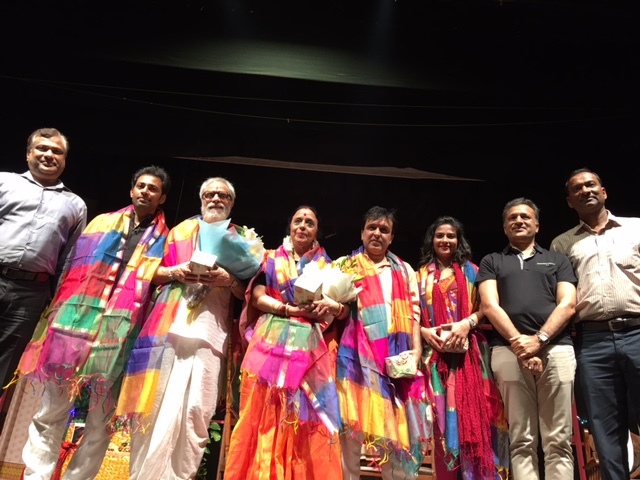 The play tells the story of three generations; Jairaj and Ratna, their daughter Lata and her finace Vishwas and also using the technique of flashback, Jairaj’s father Amritlal. Jairaj and Ratna have a constant conflict with Amritlal, who doesn’t understand their devotion to dance and more especially of Jairaj. As per him dance is made only for females and no respectable man will ever pursue a dance as his career or profession. He feared his son becoming womanly and hence it was unimaginable for him to see his son dancing. Dance had different meanings for different characters in the play. For Amritlal it was only a hobby that too for women and men shouldn’t pursue it at all. For Jairaj, it was a form of self-expression, and he wanted to develop a career in it. For Ratna, dance was her ambition, she had these slight shades of grey in her character, like she married Jairaj only because he was a dancer, as husband and wife they didn’t share a very loving relationship. In fact she even joins hands with her father in law in destroying Jairaj’s career as a dancer in order to pursue her own dreams. Ratna not only curbs jairaj’s ambitions and desires by constantly misleading him, but also moulds their daughter lata into becoming a traditional dancer. Lata on the other hand, though passionate about dancing, but did not think of it as a means to earn money or fame. For her dancing was an art form that she loved pursuing as a hobby. She had a balanced mind unlike her parents. She was strong headed too, she wanted to marry Vishwas but did not want to give up on her passion for dance. 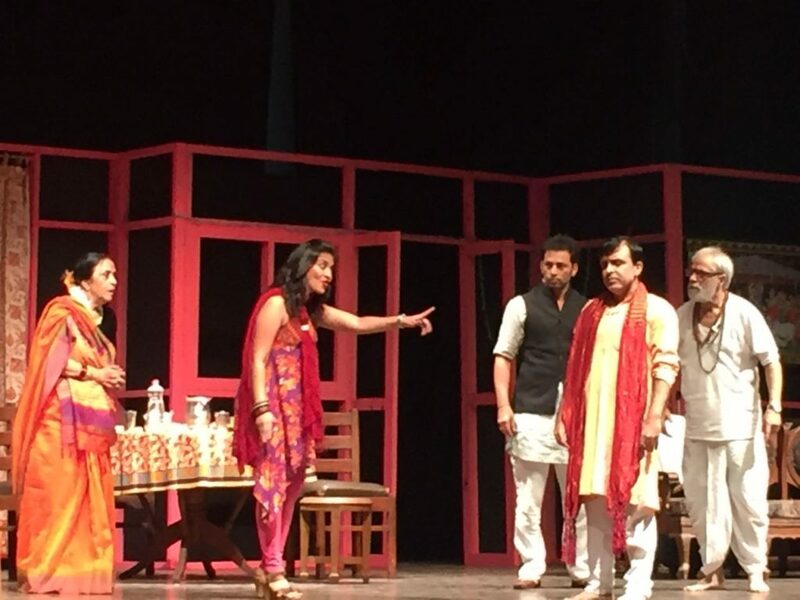 In the beginning of the play itself she once asks Vishwas if he would allow her to practice dancing after marriage. It’s indeed a beautiful play that touches hearts and brings in light the plight of our society and poses a question on gender discrimination. Datani has shown that not only women but also men suffer the burnt of gender discrimination and are not allowed to follow their passions if they aren’t accepted by the society. The actors are commendable. Each one of them seemed in the skin of the character. But a special mention for Gunit and Paras who played the roles of Lata and Vishwas and also the younger versions of Jairaj and Ratna. How comfortably they switched themselves from one role to another, it was a delight to watch. Also the director Prof. K.S. Rajendran’s control over the entire play is just amazing. Prof. Rajendran teaches at the National School of Drama. 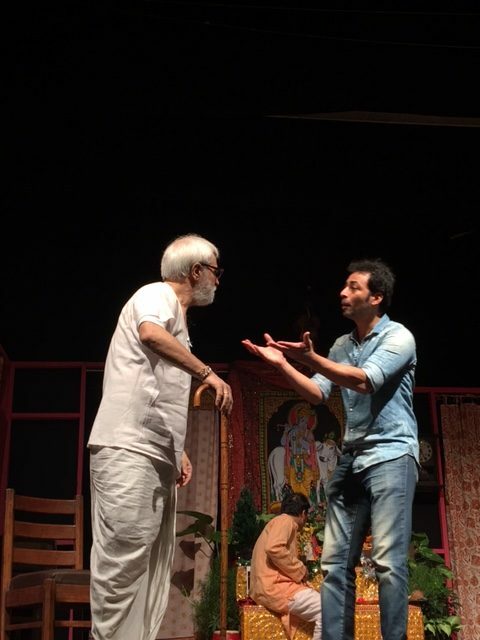 He is a well known director of plays in various Indian languages. His directorial work ranges from adaptations of Shakespeare, Brecht, Ionesco and Genet to contemporary playwrights and authors such as Omchery, Shankara Pillai, Shiva Prakash, Tendulkar, Alekar, Kambar, Indira Parthasarathy and Lalit Mohan Thapalyal, besides Sanskrit classics by Kalidasa, Bhavabhuti and Shudraka. He has conducted workshops and lectured on theatre in India and abroad. His noted productions include MARAT/SADE, UTTARA RAMA CHARITAM, GirishKarnad’s WEDDING ALBUM, MACBETH, AURANGZEB and VIKRAMORVASHIYAM. If you have missed out on watching it this time, plus do catch up whenever the show happens next, I am sure you will love it as much as I did. I am thankful to 3 Bells Productions for organising such a great theatre festival and giving us an opportunity to witness something as beautiful and meaningful like this play.